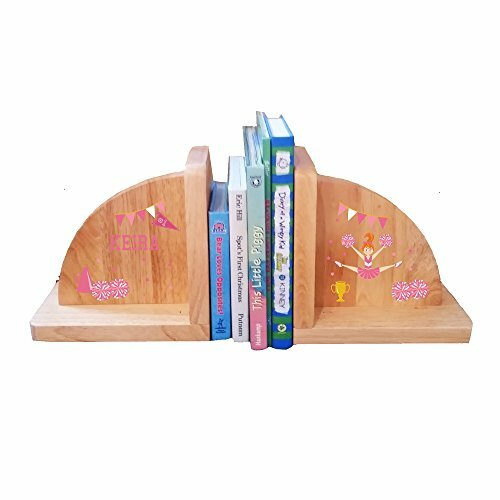 Our MyBambino personalized cheerleader red hair pink natural wooden bookends are a fantastic way to show of their very best book collections. Match your child's likes tastes. or nursery decor with our customized designs. Personalized for free. 7" x 4.5" x 7"